Boat ladders make boarding your boat from the water much easier. There are many styles to choose from for different boat types. 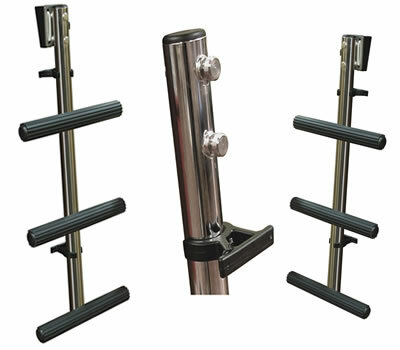 Pontoon ladders for pontoon boats, gunwale hook ladders for side mounting over the boats gunwale, transom ladders for mounting off the rear transom and more. 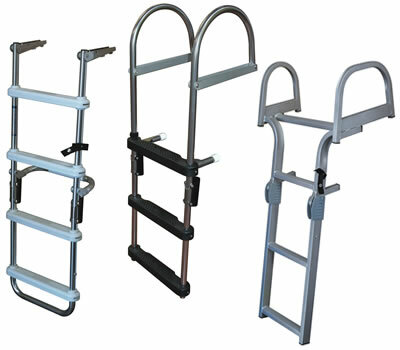 Most boat ladders are made from either aluminum or stainless steel. You'll find most available in 2-5 steps with and without stand-off's. Some boat ladders will have telescopic functionality and some will simply swing 180 degrees for safe stowing. Bottom line, the right boat ladder depends upon the type of boat you have and the desired location of where you want access. 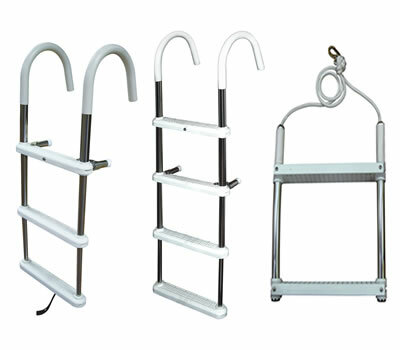 If you're looking to purchase a new boat ladder today then you're at the right place. 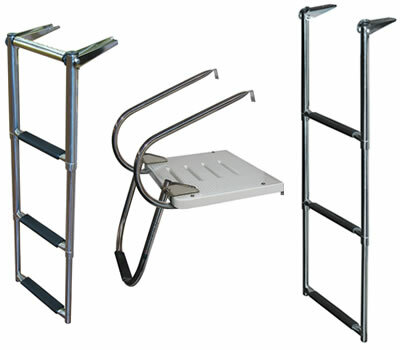 You'll find the best prices for JIF Marine boat ladders only at Dock Ladders Depot. Browse these categories under "Boat Ladders"